Firstboot is only available on systems after a graphical installation or after a kickstart installation where a desktop and the X window system were installed and graphical login was enabled. If you performed a text-mode installation or a kickstart installation that did not include a desktop and the X window system, the firstboot configuration tool does not appear. 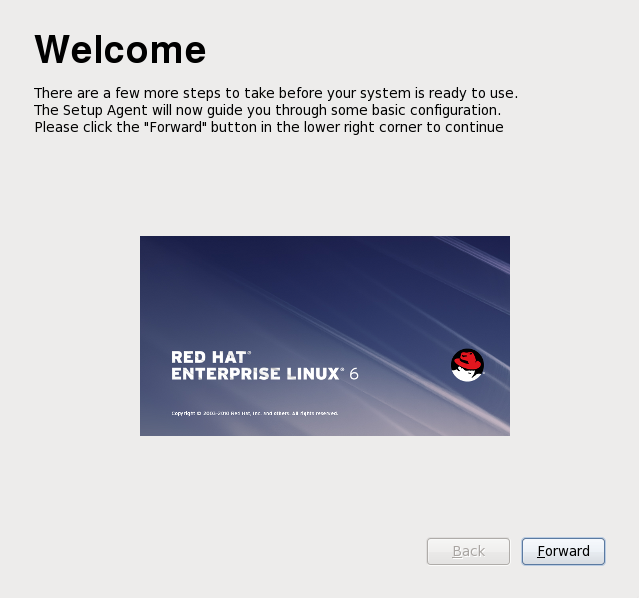 Firstboot launches the first time that you start a new Red Hat Enterprise Linux system. Use firstboot to configure the system for use before you log in. Click Forward to start firstboot. 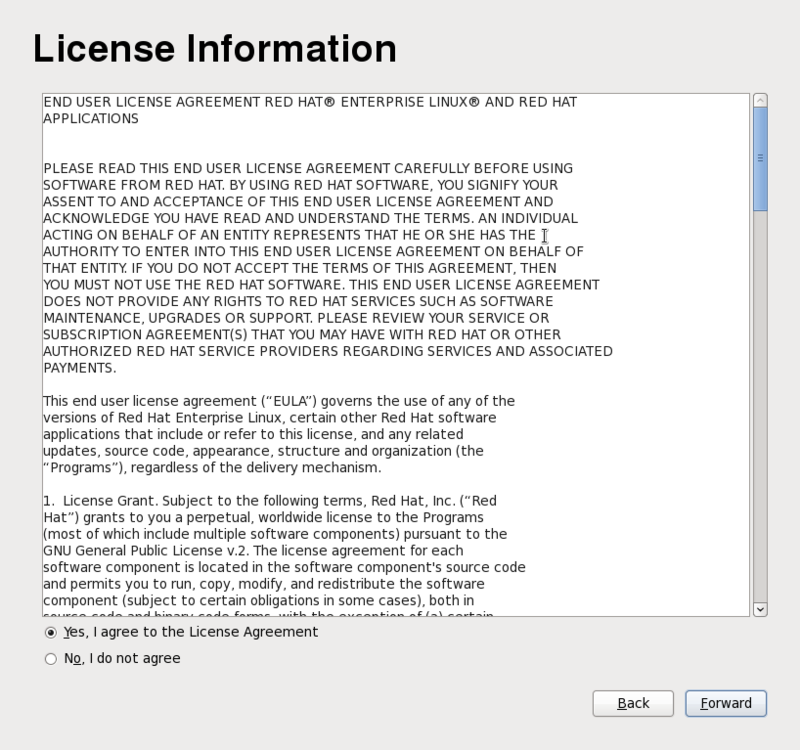 This screen displays the overall licensing terms for Red Hat Enterprise Linux. If you agree to the terms of the license, select Yes, I agree to the License Agreement and click Forward.